It’s here! 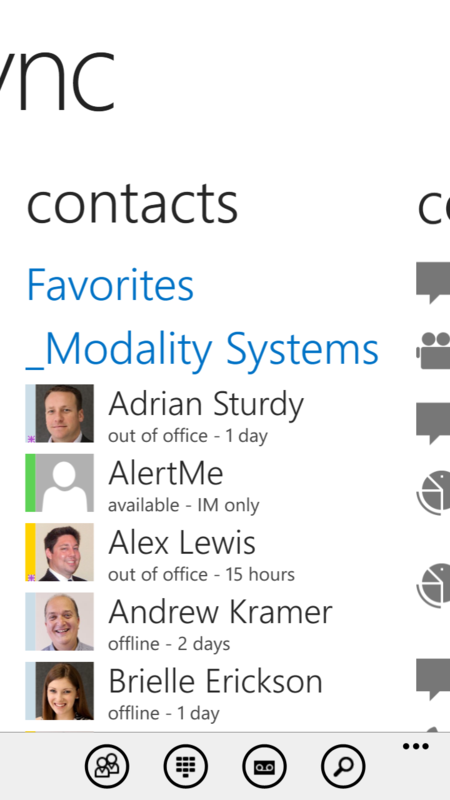 The Lync 2013 mobile client has finally arrived first on Windows Phone 8! 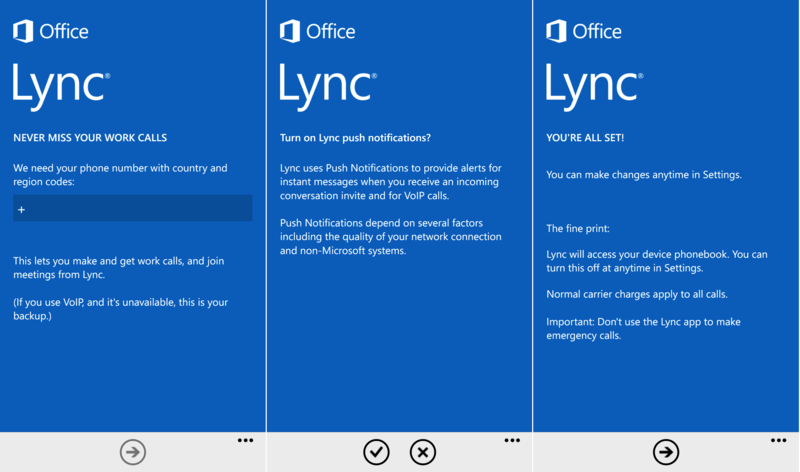 This morning (UK time) we finally saw it go live in the store, ready to finally bring Lync audio and video to your mobile. I’ve prepared this complete run-through that demonstrates the massive improvements in functionality in this hugely anticipated client. Let’s get right into it and take a look, starting with logging in and getting setup. Like the 2010 client, I’m prompted for my credentials when I first launch the app and it’s got that really nice Office 2013 look going on. Once the sign-in process completes, I’m greeted with a few steps to configure the app on first run. 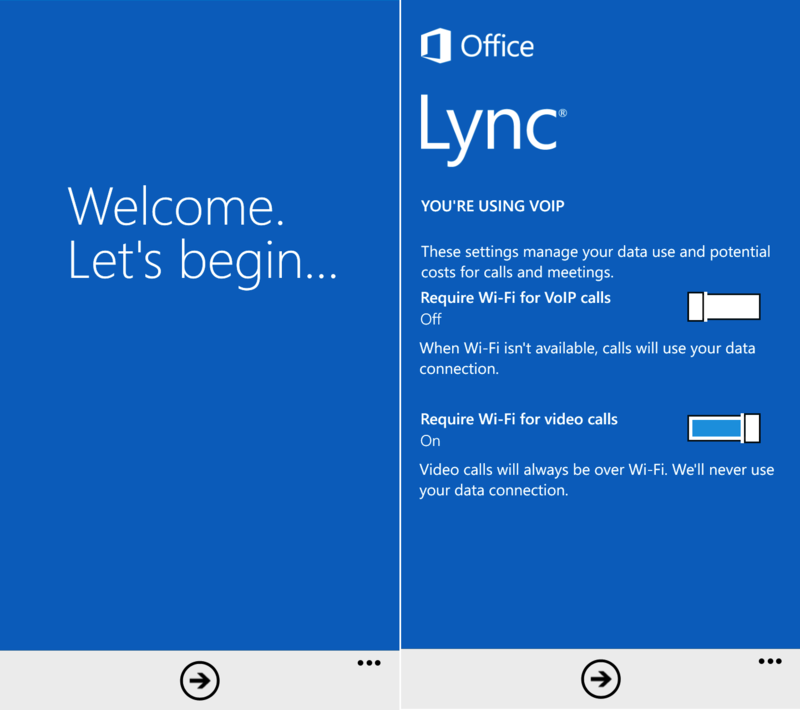 This first step which is new in Lync 2013 is the option to choose whether we require WiFI for VoIP and video calls. 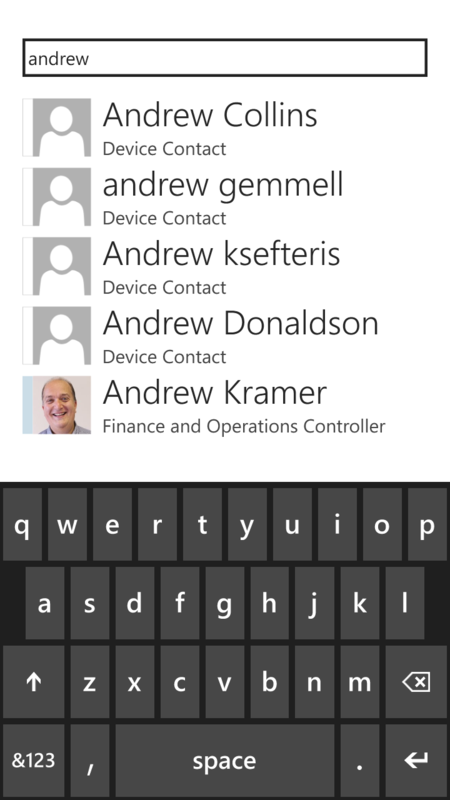 You can also control this centrally for users via a Mobility policy on the server. Next I configure simultaneous ringing and whether to turn push notifications on or off, and I’m ready to go. Once I’m all logged in, I’m greeted with my info where I can change my status and my note. I’ve also got buttons to quickly access the keypad to dial numbers, access my voicemail and to search my Lync and local phone address book. 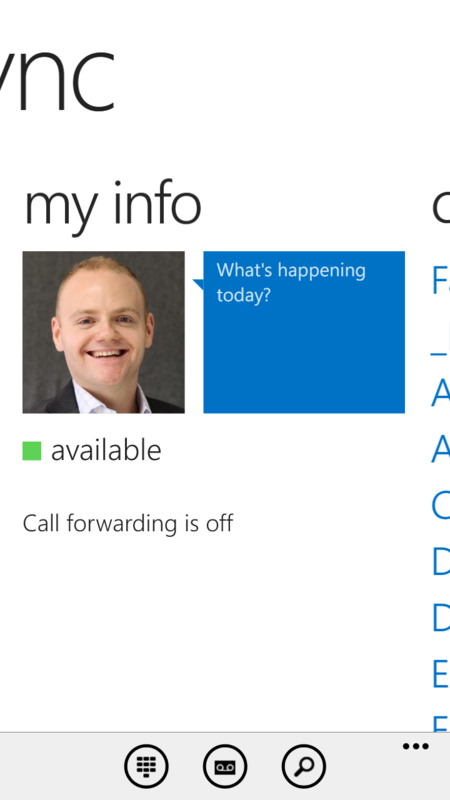 I can then swipe right to view my Lync contact list. 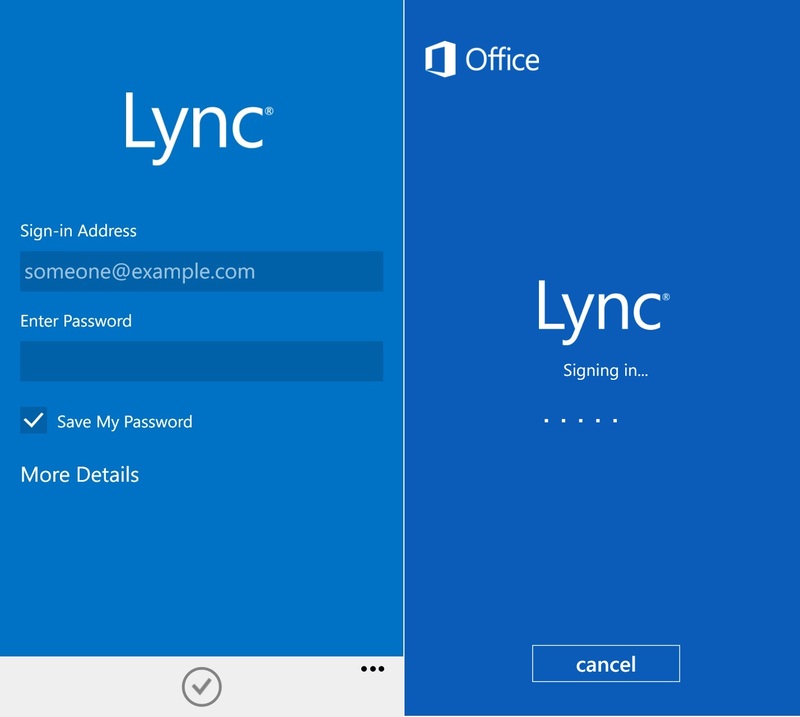 From here, I can tap on a user and the familiar Lync 2013 peek menu pops out and allows me to choose whether I want to place an IM, make a voice or video call to the contact or view their contact card. By swiping right again, I can I can see all the current conversations I have/had in progress, included whether they are voice calls, IMs or meetings. 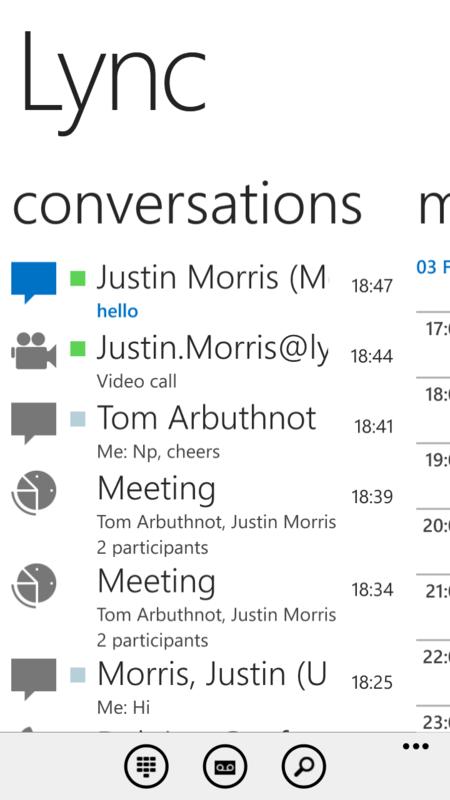 The meeting join process in Lync 2013 is super simple. I can swipe across one screen again to view my calendar for the day (this wasn’t possible in Lync 2010 on Windows Phone) and tap an upcoming meeting. 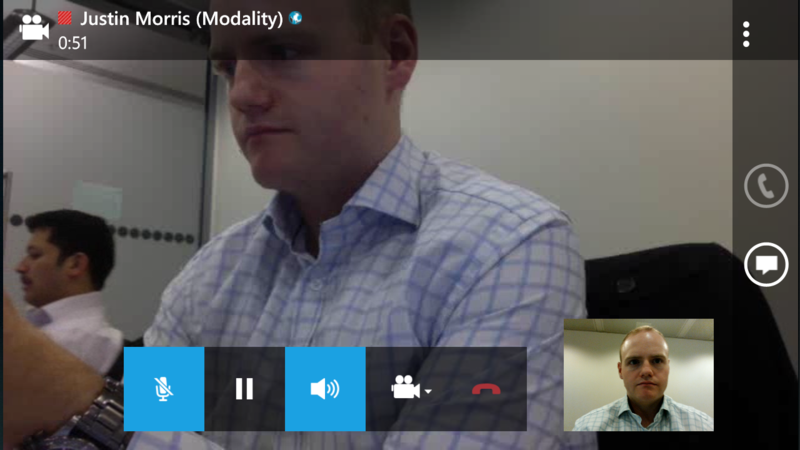 I can then simply tap the Join Meeting button and Lync 2013 joins me to the meeting, complete with voice capabilities. 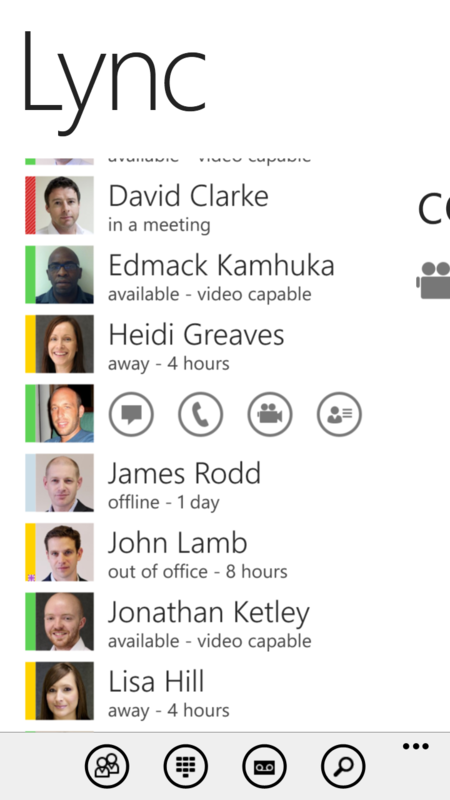 I can also join a Lync meeting in this same easy way from the in-built Windows Phone 8 calendar. Now the part you’ve been waiting for – voice and video. 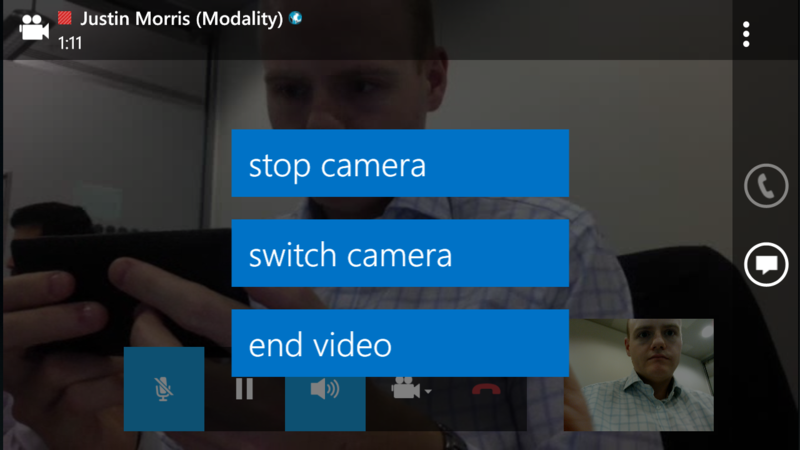 Lync 2013 now allows you to place voice and video calls over wifi or cellular data and you can easily escalate from an IM conversation to a video call. If I tap on the screen, I get information about the call and buttons to mute myself, end the call and switch to IM. 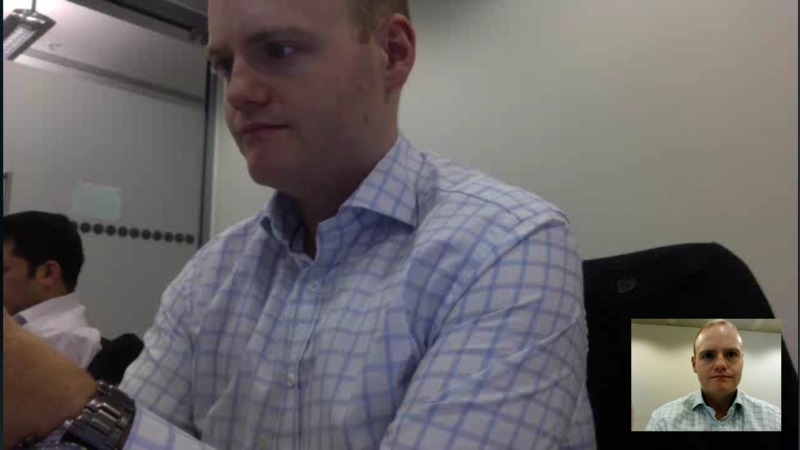 If I tap the camera button, I get options to stop my camera, switch the camera to the back camera (very cool to show people in the meeting/call what you’re looking at) or end my video. 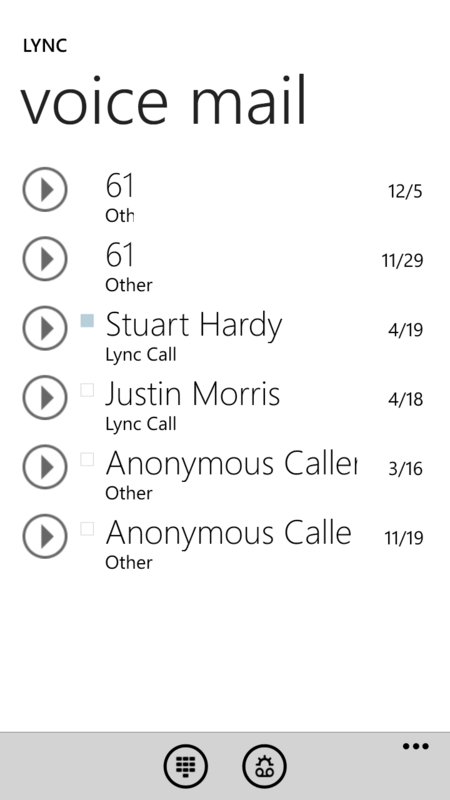 Another new feature in Lync 2013 on Windows Phone is the ability to view my voicemail directly in the client. This is accesible from its own button at the My Info screen as I mentioned. 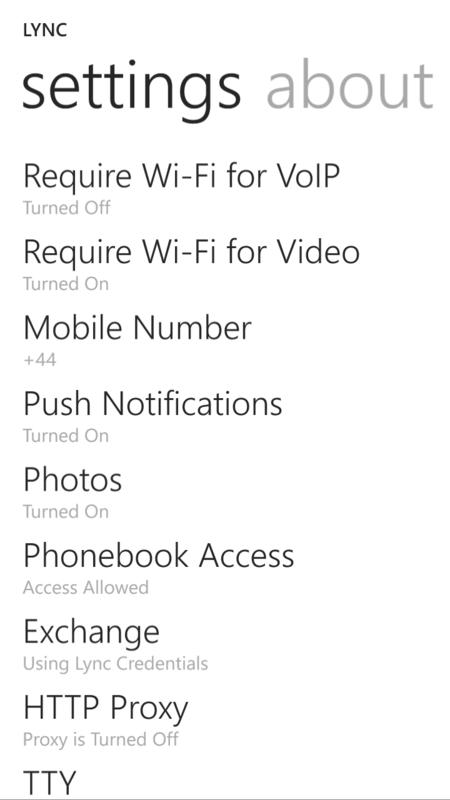 Also from the My Info screen, I can access app settings like requiring WiFi for VoIP or Video, change the mobile number I am sim-ring’d on and other access features. A highly requested feature was the ability to specify separate credentials to access Exchange, and this is now available in Lync 2013. 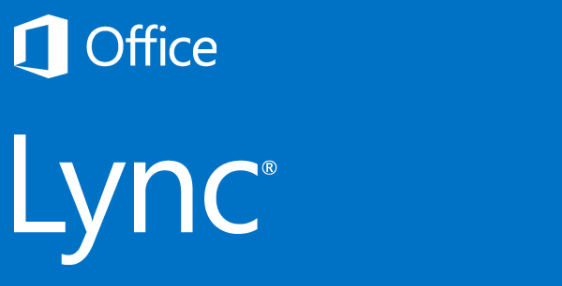 As I mentioned before, I can now search both the Lync corporate address book and my local phone address book. 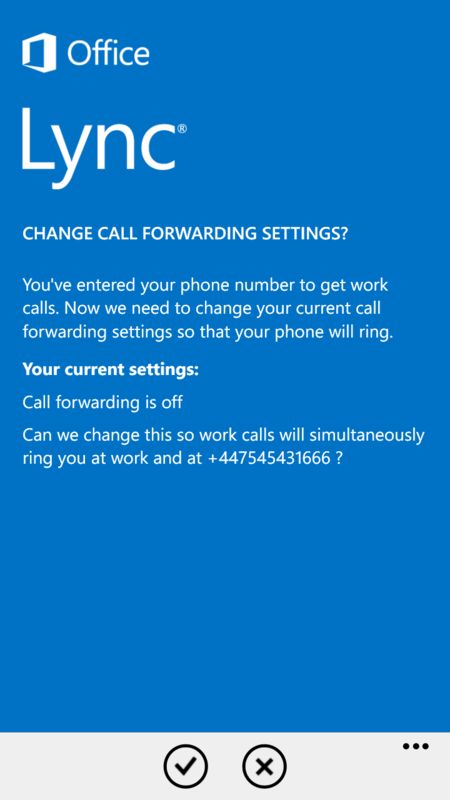 I’m so glad the WP8 client does this now, as it means I can use the Lync mobile client for all my calls on my phone. It’s available right now worldwide (as far as I know) and you can download it from the Store right now. 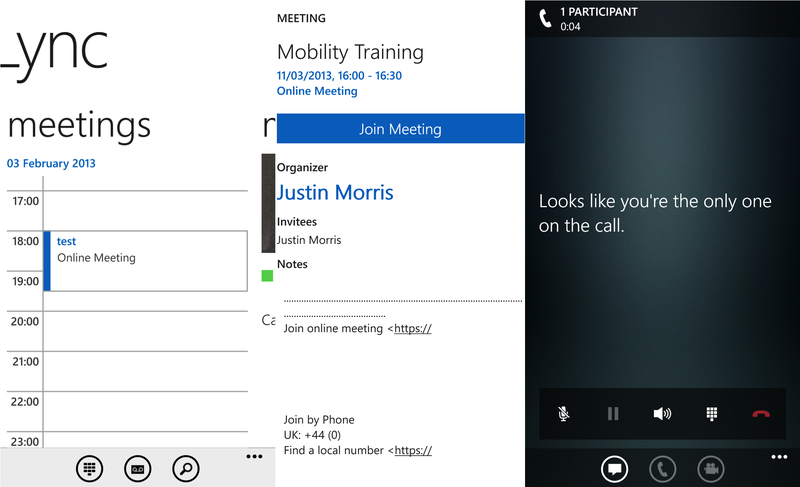 This entry was posted in Lync Server 2013, Mobility on March 11, 2013 by Justin Morris.